After two months traveling in Mexico, we're back in Pacific Beach and we had a few itches we needed to scratch. 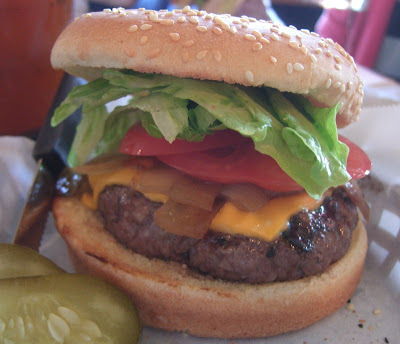 People generally argue about whether Rocky's or Hodad's has the best burger in town. 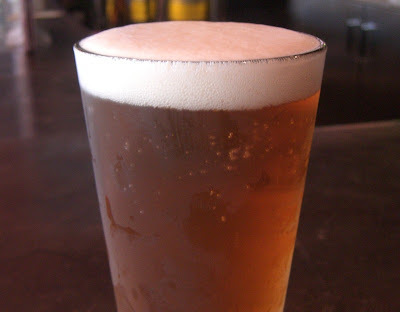 While I like both, my personal favorite is at Cass St. Bar & Grill. 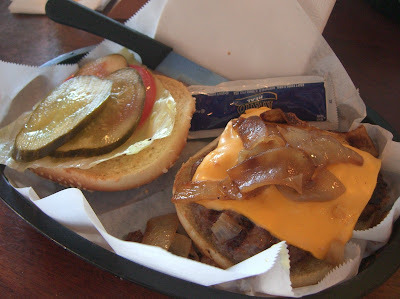 No muss, no fuss, no fancy extra toppings (other than the nicely grilled onions) - just a great burger. And the best thing is that when you order it medium-rare, that's what you get. Nice and juicy with a built in internal clock - you'd better get it down your neck before it falls apart. While it may or may not have the best fish tacos in the country, South Beach Bar & Grille has some of the best I've personally had. Add in the great location, good vibe and the fact that my favorite beer has a firm place in their tap list, and it is was definitely a spot we were looking to return to. 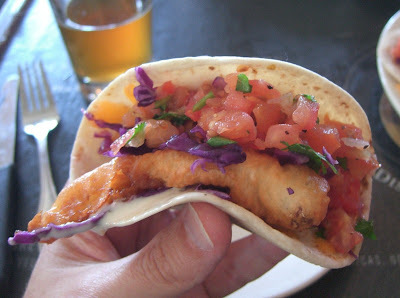 Below is their calamari taco, a favorite of ours. And finally, a Carne Asada Burrito from Taco Surf. Sure, it's not "authentic" Mexican food and it is certainly not "Alta Cocina", but San Diego taco shop food is something I love and I definitely miss it when I am gone. Even on a trip to Mexico. As I explained it when talking food with the locals - "En San Diego, tenemos nuestra propia comida Mexicana". 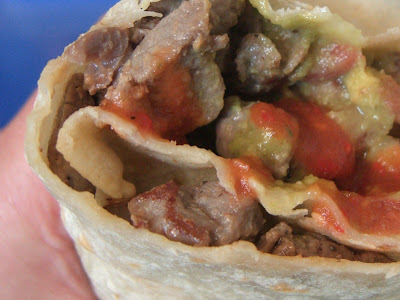 Taco Surf does a great Carne Asada Burrito - just savory meat and great guacamole. Add in a dash of hot sauce between mouthfuls and it is pure heaven. I know you guys are glad to be home, but I am sure gonna miss the pics and stories from Mexico. That burger looks pretty good though. Man, I wish we had great fish tacos available here in Atlanta. We've made fish and shrimp tacos pretty successfully at home, so maybe we'll put together a recipe and do a post one of these days. Welcome back to SD! I'm gonna have to try Cass St. I have yet to give South Beach Bar & Grill a run but plan to soon. I'm new to San Diego and was very happy to see your local recommendations! 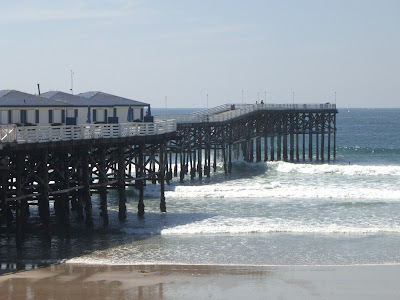 After reading this, we headed to OB for happy hour at South Beach where we promptly fell in love with the fish tacos! Thanks and welcome back! Liz - thanks for the welcome back! Nicole - Welcome to San Diego! Glad you liked South Beach. we are san diego natives now living in va and we miss taco shop food! i found your post for hot sauce that i am going to try....now you just need to crack the recipe for carne asada burritos and rolled tacos!